Description: Vibrant yellow colour, hazy, and a good white head. Lots of funky yeast smells, grassyness, and citrus fruit. Sour and tart taste, lots of lemon rind. Quite light and dry, long sour finish. Description: Poured deep black with a good tan head. 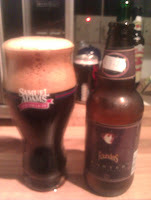 Lots of coffee and toasted malt aromas, a little dark fruit in there too. Coffee and bitter chocolate flavours, toasted, almost smoky malt. Rich, full, mouth feel. Thoughts: I actually donated this bottle to my wife, I had a quick sample before handing over to and suffered instant regret. This stuff is class, rich, dark, and simply very tasty. The bottle was duly passed over very reluctantly, so I'm off to but more of my own! 107. 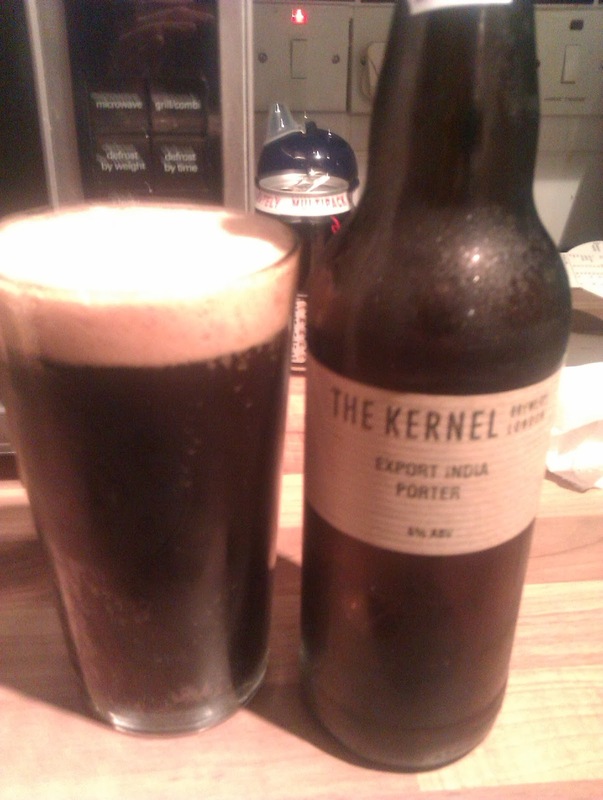 Kernel Export India Porter. Description: I'd say this was a deep dark brown rather than black. Good beige head that lasted well, plenty of lacing. Toasted almost burnt, malt smells, though you can get a hint of citrus hops in the background. 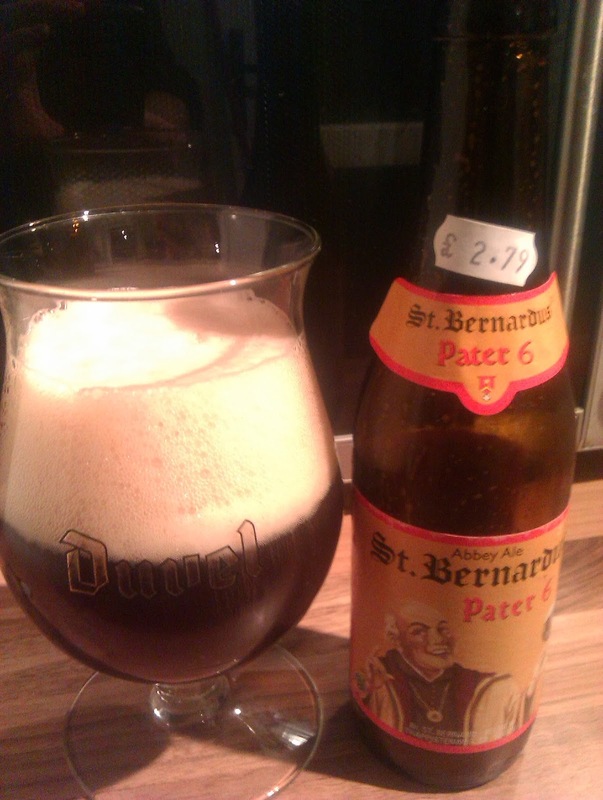 Again a good toasted malt flavour, a little coffee, but then a good hop hit of bitterness and some citrus fruit. Mid bodied. Thoughts: Another good dark beer, and another impressive one from Kernel Brewing. 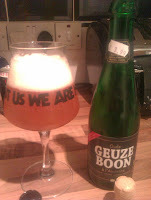 This one provided a great contrast - starts all dark and malty, and then in comes the hoppy fruit and a resin like finish. An IPA porter? A Dark IPA? What ever it is a found it very tasty. Description: Poured reddish brown, with a small white head. Nice aroma: caramel, brown sugar and toasted malt. I get a real candy apple flavour from this, more brown sugar to taste, again a little toasted malt. Syrupy mouth feel, a little sticky, good alcohol warmth. Thoughts: Another good Founders beer. The description above make it sound very sweet, but actually the alcohol and malt balance it out very well. Not something I'd drink all that often but I'd certainly buy again. Description: Dark ruby in colour with a large pink head. 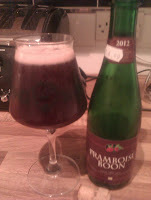 Lots of tart raspberries in the aroma, and a little sour yeastynees. Again tart fruit flavours, lots of raspberry, and a sour tangy finish. Sticky mouth feel. 110. St Bernardus Pater 6. Description: Dark brown colour with a log lasting off-white head. Toasted malt smell, a little sugar, and that unmistakable aroma of Belgian yeast. Some dried fruit flavours, a little caramel, a little bitterness. Mid mouth feel (may be slightly lighter than I was expecting). Thoughts: By all accounts the bigger beers in the St Bernardus range rate better, if that's the case I look forward to trying them. This was a perfectly good, drinkable if unspectacular, Belgian dubble.